The American College of Greece | ACG participates as education partner in SingularityU Greece Summit by embracing “A new era, a new mindset”! Home » News & Events » News » ACG participates as education partner in SingularityU Greece Summit by embracing “A new era, a new mindset”! ACG participates as education partner in SingularityU Greece Summit by embracing “A new era, a new mindset”! ACG is proud to announce its participation as education partner at SingularityU Greece Summit, one of the world’s leading innovation conferences, themed “A new era, a new mindset”! The Conference is coming to Greece for the first time and promises to take Athens by storm on November 19-20, at the Athens Concert Hall, where it is expected to attract prominent speakers, experts, entrepreneurs, and leaders from all over the world. The event will be honored with the presence of Dr. Peter Diamandis, Executive Founder of Singularity University, Founder and Executive Chairman of the XPRIZE Foundation, and one of the world’s 50 greatest leaders, according to Fortune Magazine. The topics on the conference’s agenda are artificial intelligence, biotechnology, robotics, the Internet of things, as well as innovative applications and practices straight from the future. 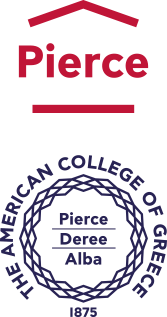 As education partner, ACG, represented by Deree and Alba Graduate Business School, is supporting the Conference in order to help make it an annual point of reference that will gather the most innovative, pioneering forces globally. Alba professor Dr. Nikos Mylonopoulos, will participate in the event in the role of Master of Ceremonies. At the same time, a group of 24 Deree students as volunteer ambassadors will have a unique opportunity to familiarize themselves with the workings of the Conference and interact with professionals and experts from the Greek and international academic, scientific and entrepreneurial worlds. More importantly, ACG’s participation in SingularityU Greece Summit as education partner is aligned with the College’s strategic vision to become an agent of economic rejuvenation and a force of social change through education and knowledge, as it has been since its establishment in 1875. 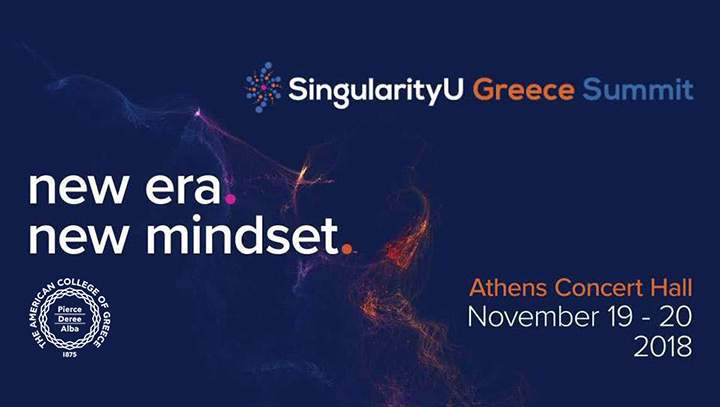 SingularityU Greece Summit will be streamed live on November 19-20, between 09:00-17:00, at the Upper Level Library and is open exclusively to ACG Students, Faculty and Staff.